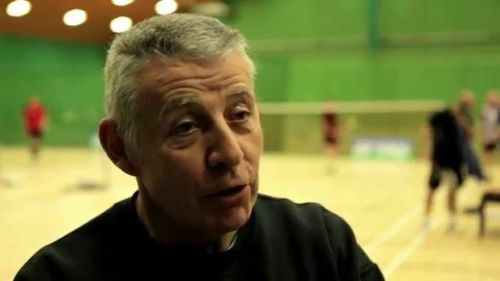 Former Commonwealth Games gold medallist Dan Travers of Scotland believes India must be a worry for China as it is fast becoming a dominant force in international badminton. "India must be a worry for China and the way India is playing it can be a dominant and senior badminton nation. India has a lot of good players playing and it is reaping the rewards," Travers, who is participating at the ongoing BWF Senior World Championship, told PTI. "During my days there were not many Indian players on the circuit but now the scenario has changed completely. Obviously, Prakash (Padukone) and (Pullela) Gopichand have made a massive impact on badminton in the country and it is just great to see so many players from India these days." Travers said that the Indian players are "feared" these days. "The opponents know that they have to be at their very best to go past the Indian players. Indian players were always technically very sound but the addition of power and speed to their arsenal is what sets them apart these days." Asked about lack of quality in doubles, the 61-year-old Travers said: "I think India have to invest in doubles players and coaching in doubles. It is very tough." Travers, who along with Billy Gilliland had reached the finals of 1982 All England, said the prestigious tournament is losing its relevance. "It is a matter of time before the All England loses its aura of being one of the major tournaments in the world because you have the World Championship, Olympics and so many super series events," he said. Travers said the women's singles final between PV Sindhu and Japan's Nozomi Okuhara at the World Championship has set the bar high for badminton. "I was there and the women's singles final has set the bar very high. The match was a perfect example of how world championship finals should be played. "Both the players were great and it is just that maybe the Japanese wanted it a little more than Sindhu on that day. Hats-off to them for dishing out such a spectacular match." In a match that lasted an hour and 50 minutes, Sindhu was, interestingly, handed a yellow card during the final for delaying tactics. Asked if BWF should have a re-look at the rules, Travers said: "I hate to say this but I think Sindhu was pushing it to the limit. I could see both were exhausted and the Japanese girl was little more that day. But I don't want to see any change in the rules." BWF has been mulling with the idea of changing the point system and even trying the 11-point system in some tournaments.